People… they have the fetishes. Every day we are beset by licentiousness and turpitude without even knowing it. 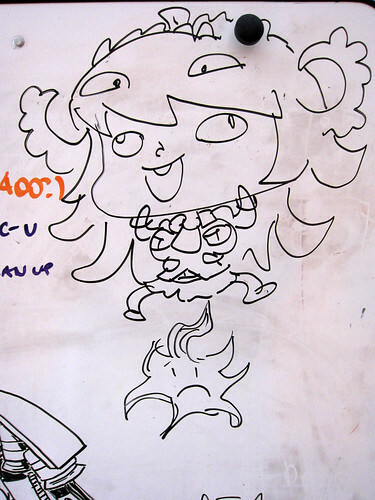 At least one of today’s whiteboard drawings will likely have the completely unintended effect of arousing someone. If this happens to you, please do not contact to inform us. 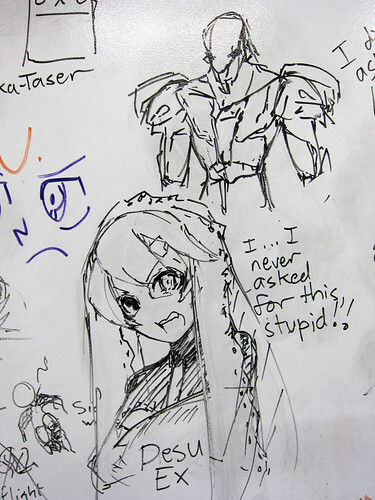 Is Filia farting in the second bottom pic? lol. You! 4th image from the bottom! I see you Squiggly. Release her next guys! 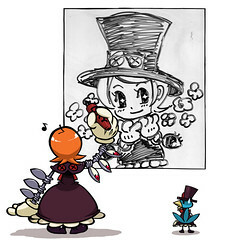 Robo parasol would be the new roboky make it happen!!!! 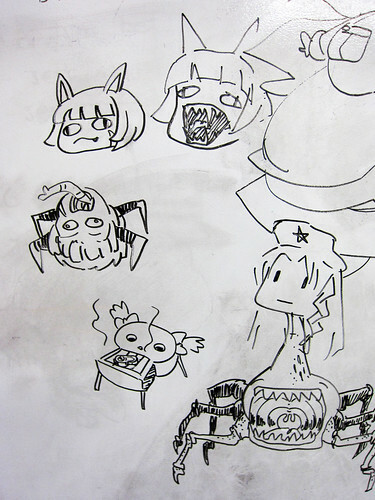 Is that a Ms. Fortune head as the Thing? Awesome. 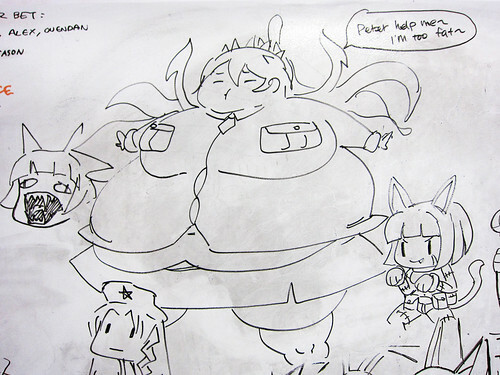 Daww I love fat Filia, I have to draw more fat filia fanart now. 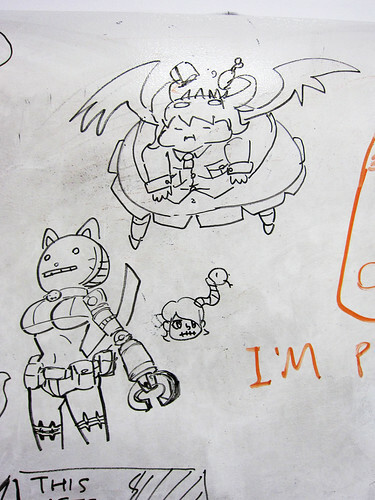 Skull Girls could use a big girl I think. Future DLC maybe? I take it that’s Ms. Fortune in “Fluffin’ Around”? ‘Cause I’d love to be that Mannequin. I hate to say it, but that goes for pretty much the whole game. Desu Ex NEEDS to be a thing. 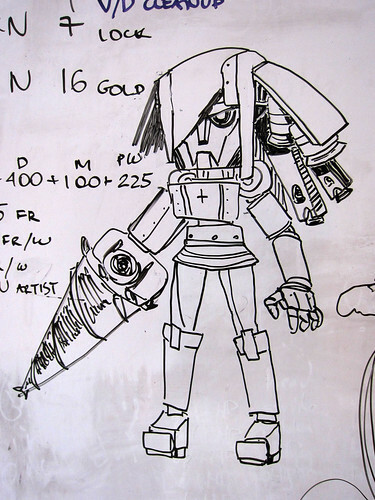 Fat Filia was created just so Mike Z would have a true Heavy character to play as. Why, haven’t you guys ever learnt that the internet works on reverse psychology, especially with fetishes? If it’s a thing, it’s a fetish. Even things that aren’t things are fetishes.